Wave propagation and imaging in complex media is an interdisciplinary area in applied mathematics, with roots in hyperbolic partial differential equations, probability theory, statistics, optimization, and numerical analysis. It has a wide range of applications, including not only radar and seismic reconstruction but also many others, such as laser beam propagation through clouds, light propagation through the atmosphere in astronomy, secure communications in scattering media, medical imaging, and nondestructive testing of materials. Inversion and imaging with waves is of fundamental importance in both radar and seismic reconstruction. Mathematics provides the key technology in both areas and, despite differing in many important respects, they have much in common in their underlying mathematical frameworks, approaches, and challenges. This semester program will focus on advancing their common mathematical and computational methodologies, as well as selected subjects distinct to each area, in the context of new challenges and opportunities that have arisen in recent years. Both theory and applications will be of interest. Participants will be drawn from academia, industry, and governmental laboratories in order to broadly address theory, applications, and their synergy. 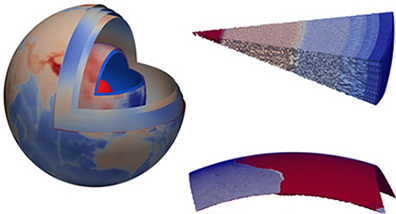 Wave propagation and imaging in complex environments is an important topic in applied mathematics with a wide range of applications, including not only radar and seismic reconstruction but also many others, such as laser beam propagation through clouds, light propagation through the atmosphere in astronomy, secure communications in scattering media, medical imaging, and nondestructive evaluation of materials. This cluster will involve contemporary topics on waves in random media. Recent progress in this area has been motivated on the one hand by a range of applications that involve partly or fully incoherent waves, such as time reversal, active-array imaging, passive imaging and hybrid imaging, and on the other hand by advances in sensor technology that have brought new and massive amounts of data. In radar and seismic reconstruction, as in other areas of applied mathematics, interactions between academic and non-academic researchers create synergies that are vital to advancing both theory and applications. The purpose of this three-day workshop is to enrich the semester program through such interactions. It is expected that most participants will be drawn from the semester program; however, others are also welcome to participate. Applications from graduate students, postdocs, and other early-career investigators are especially encouraged. 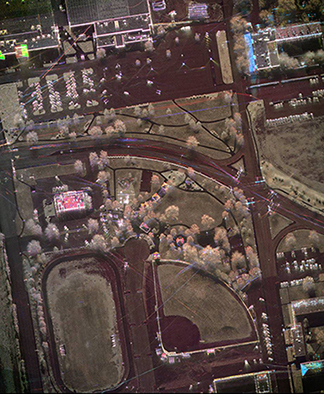 Radar imaging is a highly developed field that involves a rich variety of mathematical and computational areas, such as electromagnetic theory and partial differential equations, functional analysis, harmonic analysis, coding theory, Lie groups, and statistical signal processing. Still, many challenges remain. For example, more of the physics needs to be incorporated into solutions to the radar inverse problem, including physical scattering mechanisms, multiple scattering, moving objects, and corrections for propagation through random or complex media. Recent hardware developments make it possible to collect an unprecedented amount of data, sampled at extremely high rates and often including polarimetry, and mathematical techniques are needed for fast, accurate image formation and interpretation of this data. Seismology is faced with many similar mathematical problems; this program provides an opportunity for synergistic development of both fields. This workshop will bring together mathematicians and radar practitioners to address a variety of issues at the forefront of mathematical and computational research in radar imaging. Some of the topics planned include shadow analysis and exploitation, interferometry, polarimetry, micro-Doppler analysis, through-the-wall imaging, noise radar, compressive sensing, inverse synthetic-aperture radar, moving target identification, quantum radar, multi-sensor radar systems, waveform design, synthetic-aperture radiometry, passive sensing, tracking, automatic target recognition, over-the-horizon radar, ground-penetrating radar, and Fourier integral operators in radar imaging. Seismic inversion is the process of transforming seismic data generated by active or passive sources into a quantitative description of the subsurface properties of the earth. It addresses important problems related to our energy needs, to hazards such as earthquakes and volcanic eruptions, and to the general study of Earth's interior on a planetary scale. It draws extensively from the mathematical sciences by applying tools from signal processing, elastic and electromagnetic theory, partial differential equations, harmonic analysis, inverse-problem theory, numerical analysis, optimization, and statistics. The sheer volume of seismic data also makes it arguably the oldest area with "big data." Theoretical and engineering developments have advanced this field tremendously in the past several decades; however, there remain many fundamental open questions, ranging from uniqueness and uncertainty through the nonlinear nature of these problems. Model order reduction is a wide topic in computational mathematics that is generally used to approximate the response of complex systems. A recent development in this field is concerned with using reduced order models for solving efficiently and accurately inverse problems for partial differential equations. Such reduced order models are called data driven, because they are constructed from data interpolation conditions. Moreover, they are designed to respect the physics of the problem, such as loss of resolution away from the surface of measurements in diffusive inverse problems and causality conditions in inverse problems for the wave equation. This workshop will be focused on this novel approach to inversion, with particular emphasis on applications to inverse scattering problems arising in seismic imaging. The workshop will also celebrate the work of Dr. Vladimir Druskin, who has been making outstanding contributions to this field. This workshop will bring together academic and industrial researchers with the goal of addressing some of the key challenges in the analysis of seismic inverse problems, with emphases on reconstruction, big data and fast algorithms. We aim to facilitate interactions among scientists addressing all aspects of these problems, from analysts addressing such questions as stability and uniqueness through geophysicists developing new acquisition systems and applying cutting-edge ideas to field data sets. 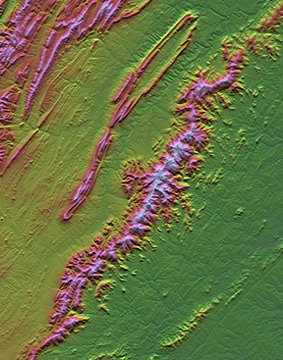 The workshop will place particular emphasis on fast algorithms that address the unique big-data requirements of seismic imaging from the reservoir to whole-Earth scale.